Special note about Amazon store. As you might know they have recently enriched the range of their mobile devices with the first smartphone – Fire Phone. Which is quite an event. So we put our time and efforts into making Pho.to Lab compatible with some unique features of Amazon’s brand-new gadget. If you are a happy owner lightly turn (or move, or shake) the phone to see side navigation bar and use special widget to quickly apply your favorite effects in a tap! Let’s now focus on new features that are common for all stores. 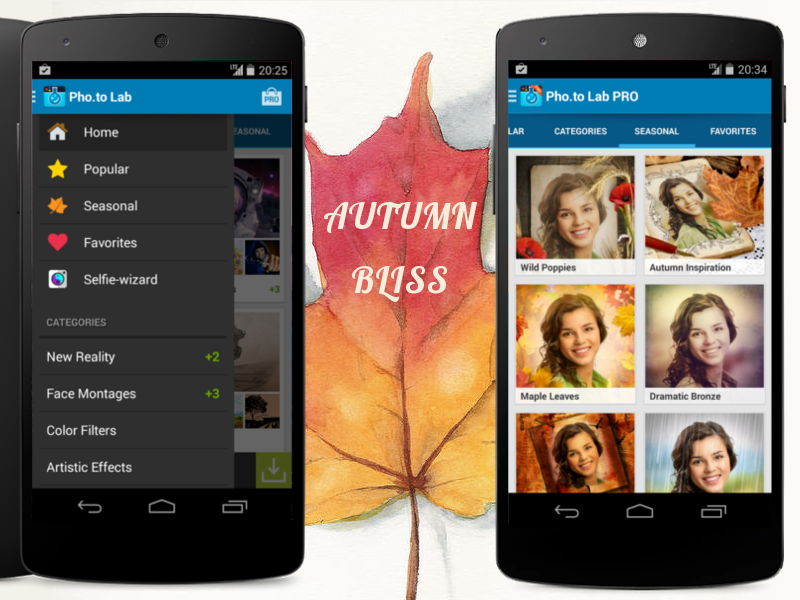 Maybe it won’t surprise you much, but still… This release comes with updated group of Seasonal templates – top 20 Autumn effects to make pictures more bright and creative. A good starting point, isn’t it? 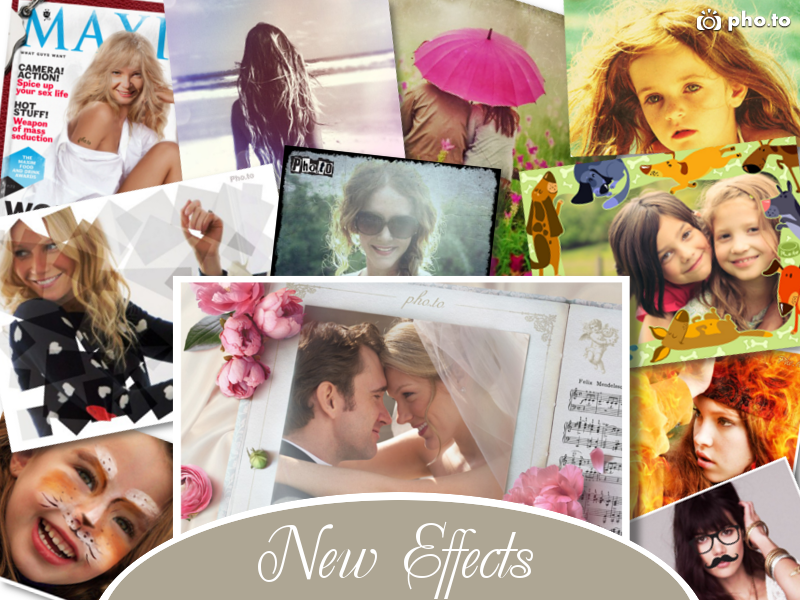 And here is the best part of ‘what’s new’ list – a great number of filters, frames and effects are added in this version. Free version’s users will discover “Wild Cat Face Paint”, “Maxim” magazine cover, cute “Dogs Frame”, funny “Squirrel Photobomb” and a beautiful “Wedding March”. PRO-users will get a little more – 5 stylized effects “Old Movie Film”, “Grunge”, “Sun Rays”, “Lilac Haze”, “60’s Retro” and a really HOT “Fire Flames Effect”! You can find more examples of new templates with descriptions and use options here and here. 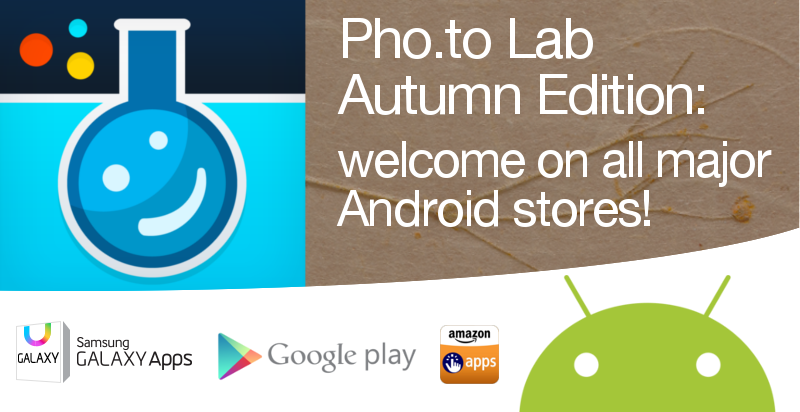 Don’t waste this Autumn and hurry up to grab Pho.to Lab! Use this photo inspiration to paint your photos in various tints and shades of colors of the fall!